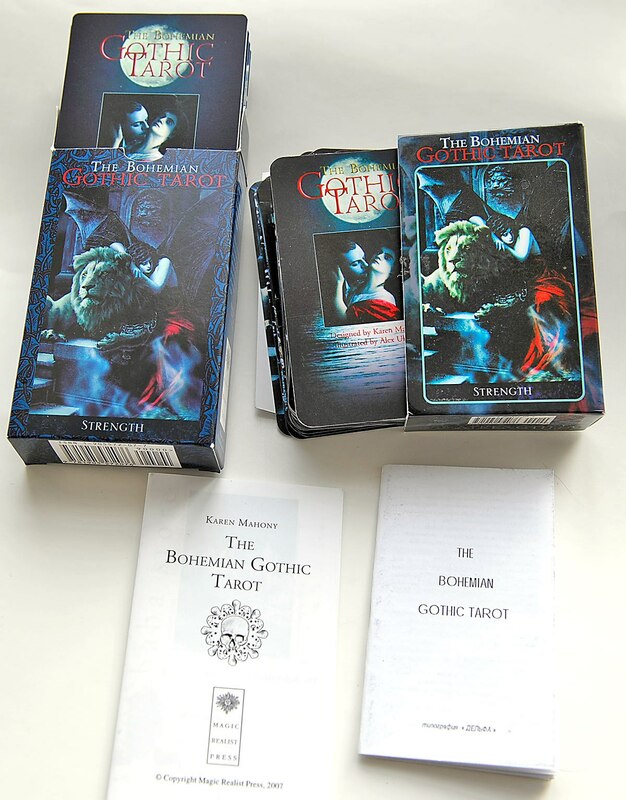 It has come to my attention that there are bootleg Bohemian Gothic Tarots for sale coming from Russia/Ukraine. 1. All prints are over-exposed, glaringly wrong colours and fuzzy. 2. Deck is smaller and to make the images fit they have just cropped them (yuck). 3. Box is different. 4. Weird typo on box Poe's death date is very, very wrong! 6. Most ironic of all - our copyright notice on the box has been removed." The quality of these decks is clearly very bad and has nothing to do with the excellent quality that Baba studio is so very well know for. Here is the page they have made with some images so everyone can see the difference in quality between the original and the fakes.